Thanks to devices like the Samsung Gear S3, Tizen is now the second-most popular smartwatch out there, with only the watchOS on board the Apple Watch ahead of it. That's according to a new report from Strategy Analytics. Samsung began phasing out Android Wear on its wrist computers back in 2015, pushing ahead with Tizen instead - an OS that has also found its way to the occasional low-end smartphone and Samsung's range of smart TVs. At the time it seemed to have little chance of usurping Android in any category, but Google's smartwatch OS has now slumped to third place in the market, despite a slew of new devices running Android Wear 2.0 launching this year. Tizen's share of the smartwatch market now stands at 19 percent, Tizen Experts reports, with Android Wear at 18 percent and Apple's watchOS at 57 percent. Tizen watches work with both Android and iOS phones, as does Android Wear, to an extent. 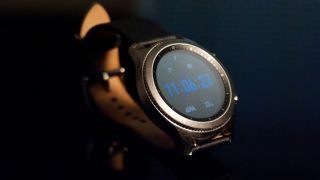 It's perhaps a testament to the quality of the smartwatches (and fitness trackers) that Samsung has been churning out as well as a sign of the way Android Wear has languished over the last 12 months. Google's recent major smartwatch OS update only recently rolled out, having been announced at last year's Google I/O. More market share of course means a potentially bigger audience for developers, so we might see more app makers embracing Tizen with wrist widgets and add-ons. As for Google and Android Wear, it's got a battle on its hands (or wrists).